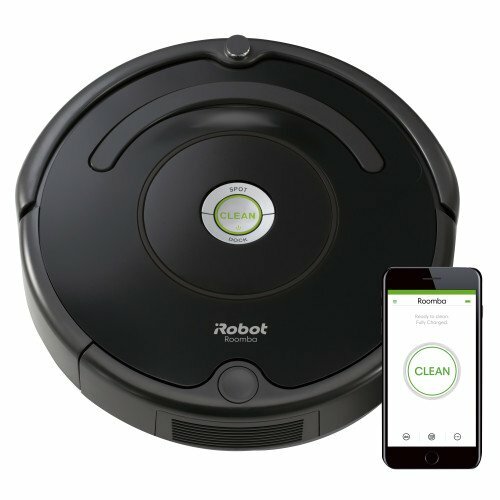 Connect to clean from anywhere with the Roomba® 675 robot vacuum. The patented 3-Stage Cleaning System is specially engineered to loosen, lift, and suction everything from small particles to large debris from carpets and hard floors. Just press Clean or schedule Roomba on the go with the iRobot HOME App.